Batley Bulldogs have confirmed the signings of two new players, who are registered in time to play against Leigh Centurions this Sunday. Irish international Callum Casey, who has had spells with Hunslet and Halifax, has signed alongside former Hull KR forward Dave Peterson. As reported in today’s Batley News, coach John Kear was hoping to have up to five new players on debut at Leigh as he looked to bring in a loan signing and two further players on dual registration. 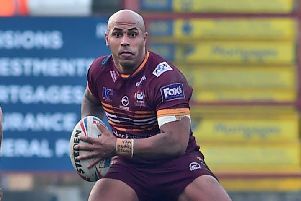 Batley are in the middle of an injury crisis with at least seven players currently sidelined and the club have today (Thursday) issued an injury update. James Brown is being assessed to find out the extend of a potential cartilage tear on his left knee. Danny Cowling has sustained a knee ligament injury and there are also concerns regarding his ACL graft. Brad Day is expected to out for between four to five weeks with a fractured thumb, while Sam Scott has had surgery on his ACL injury, which is expected keep him out for the remainder of the season. Chris Ulugia is back in non contact training and although he will miss Sunday’s trip to Leigh, Batley are hopeful he could return for next Friday’s televised Challenge Cup tie against Catalans Dragons. Alex Rowe has also returned to non-contact training and could also return against Catalans, while goalkicker Patch Walker has a calf strain and is expected to be out for two to three weeks.